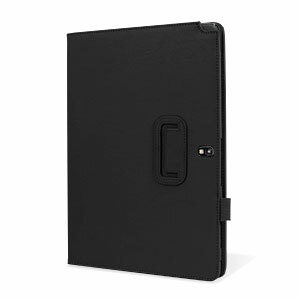 Keep your Galaxy Note Pro or Tab Pro 12.2 protected from damage with this stylish leather style folio case in black with built-in multi-stand for typing and viewing media. Excellent case - fits perfectly. 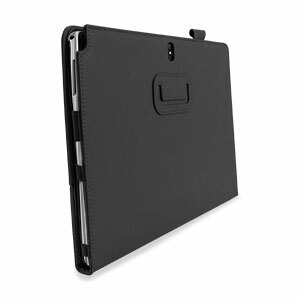 The build quality is great - and I do like the way the case triggers the display shutdown. 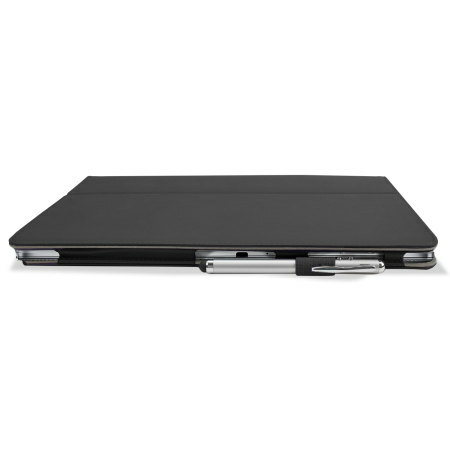 When it's folded back, it's at the right angle for typing - and with the keyboard pitch on a 12.2" screen, it's perfect for touch typing! Good quality, fits well. Good service - correct product and arrived promptly. View your media on the go with this protective leather style case and stand. 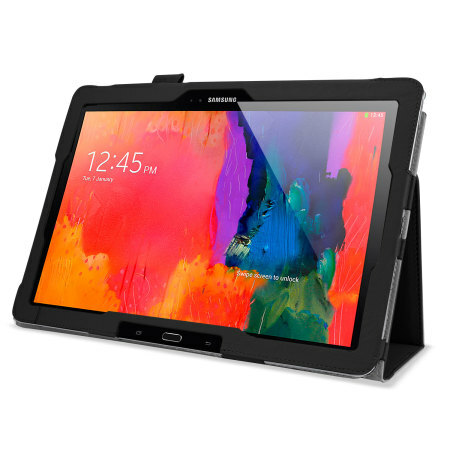 Minimal and sleek, this versatile case lets you enjoy your Galaxy Note Pro 12.2/Tab Pro 12.2 comfortably with multiple viewing angles and a typing mode that’s perfect for email and chatting. 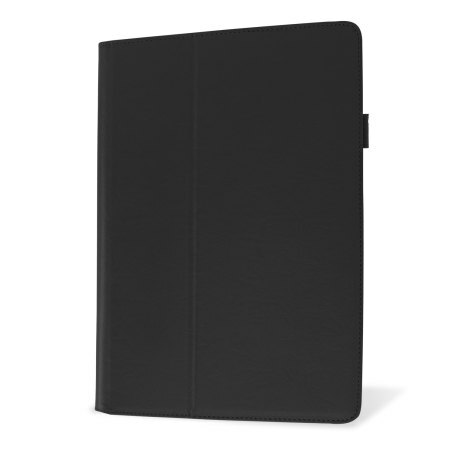 Manufactured from synthetic leather this case hugs your Note Pro 12.2/Tab Pro 12.2 and protects it from scratches and scuffs, with a cover that folds to protect the screen and an inner lining that’s soft and smooth against your device. 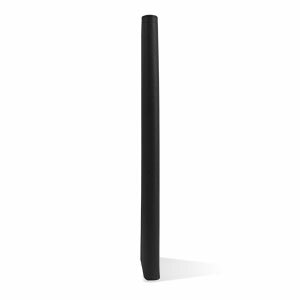 Lightweight and slender, it slips easily into another bag without bulk. 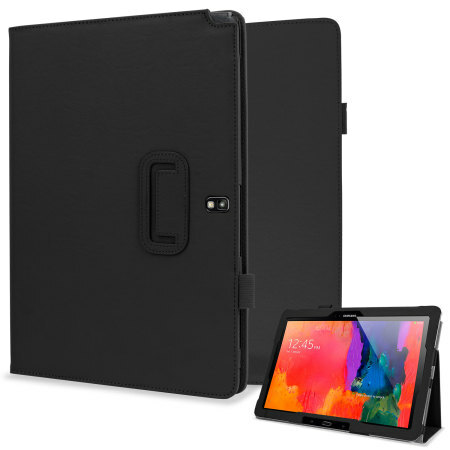 This case has a built-in multi angle stand for your Note Pro 12.2/Tab Pro 12.2, that enables you to stand your Note Pro 12.2/Tab Pro 12.2 in a comfortable typing position, perfect for using the on-screen keyboard or to position for easier media viewing. 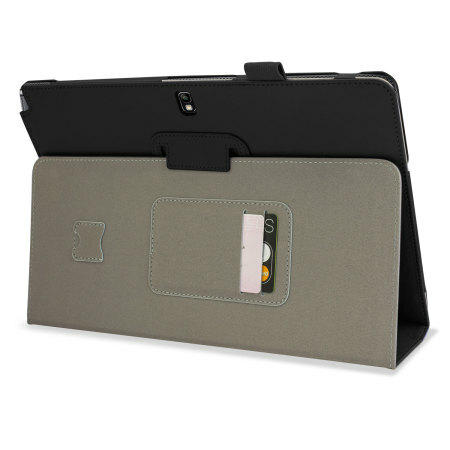 Compatible with the Samsung Galaxy Note Pro 12.2/Tab Pro 12.2's sleep/wake function, the Stand and Type Cover Case provides the ultimate blend of style and functionality. Simply open the Stand and Type Cover and the Galaxy Note Pro 12.2/Galaxy Tab Pro 12.2 magically wakes up. Close it and the Galaxy Note Pro 12.2/Tab Pro 12.2 automatically goes to sleep, no need to press any buttons. The Stand and Type Cover doesn't just protect your tablet, it keeps it ready to go for whenever you are. 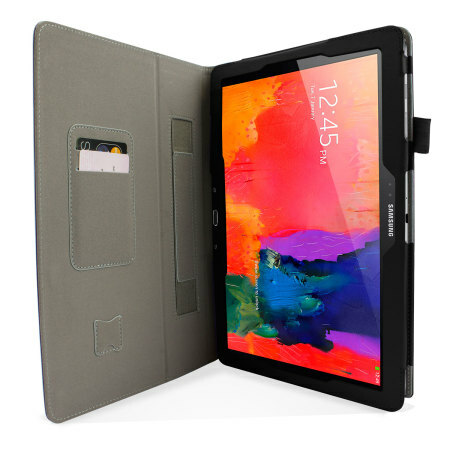 Inside the case is a soft microfibre lining that prevents any scuffs and smudges from appearing on the screen of your Note Pro 12.2/Tab Pro 12.2 during transportation. This case has been designed specifically for the Galaxy Note Pro 12.2/Tab Pro 12.2, so you can be sure of a perfect fit. It also features cut-outs for all the ports and buttons, as well as the camera, so you can access the full functionality of your device without having to remove it from the case.